The AVP Super HD+ AV-K248E15-Z-BAR Mosaic Video Jackfield (Microsize) is a front-mount micro dual video jack that meets SMPTE 424M-2006 specifications. 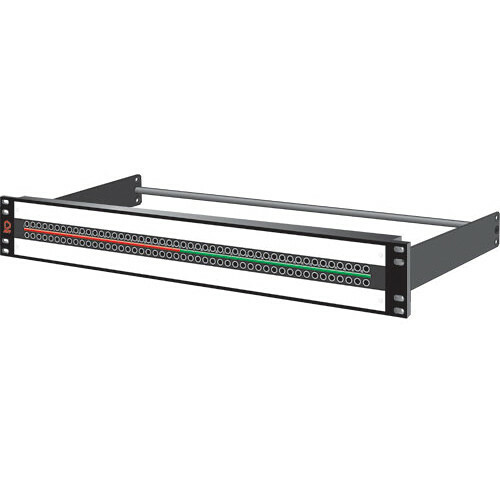 It features an industry standard DIN 1.0/2.3 rear termination and allows 96 channels / 192 patch-points in a 1.5 RU, 19" (48.26cm) rack. It also features a heavy-duty 7.00" (17.78cm) cable bar.